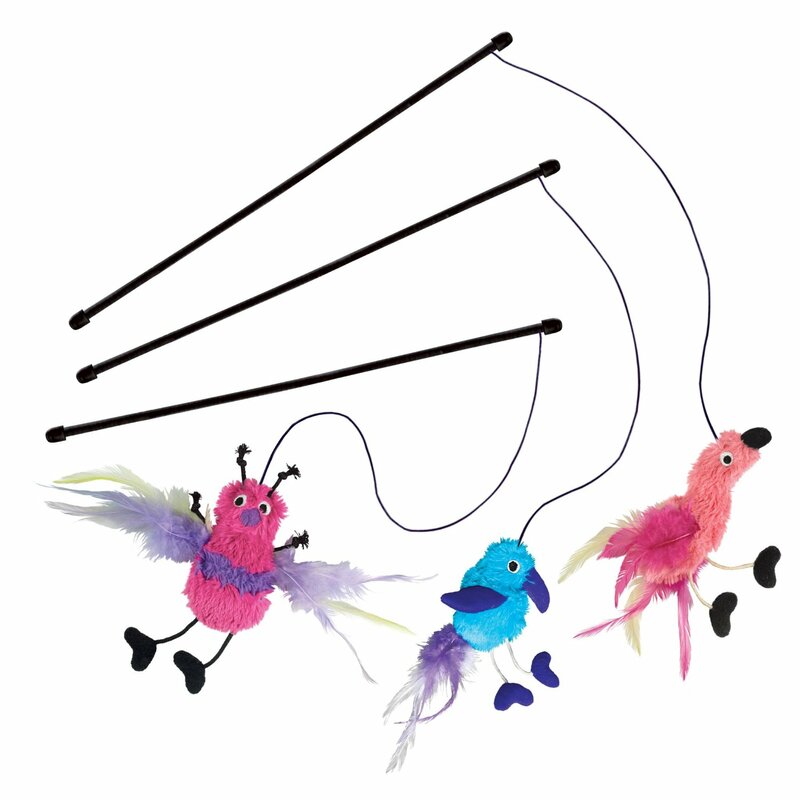 The Kong Feather Teaser is a great toy for interactive play with your catnip-loving cat. Each feathered toy has a crinkly feeling and is filled with high quality catnip. Colour and design is randomly allocated. Sold singly. Below are some recent questions we've received regarding Kong Feather Teaser Cat Toy, including answers from our team. What are the measurements of this toy? The measurements are approximately 47 x 3.8 x 5.1 cm.